Earlier this month on the blog presented was Chinas elevated bus, Mercedes first fully electric transport truck and Tesla’s Gigafactory. It seems like electric cars field gets more and more fruitful as during the last couple of weeks we learned about many new innovations and cars getting ready to hit the market. 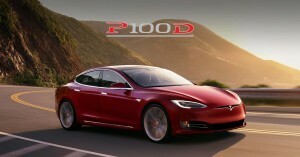 Tesla has presented an upgraded Model S with a new larger battery of 100kWh. This upgraded battery makes it fastest accelerating production car at the moment. The only faster cars where LaFerrari 4 and Porsche 918 Spyder which is no longer being produced. The cost of current fastest accelerating production car is $134,500 which is over 6 times less than the price of Porsche 918 Spyder of $847,000. This version of Model S does not only give stunning acceleration but also increases the range of car to total 315 miles (~507 km) which are 20 miles (~32km) more than previous strongest Model S version. The Evatron is almost ready to ship their new wireless charger for Tesla Model S called Plugless. The innovation allows charging a car without attaching any cables to it simply driving on the pad providing induction power to Tesla. The only thing that needs to be done is installing an add-on module to Model S itself. The good thing is that such a module does not affect Tesla’s warranty. On top of it, the company gives their own 3-year warranty that covers any costs in a case when vehicle manufacturer voids a warranty as a result of use or installation of the Plugless wireless charger. That is not the first add-on wireless charger company is offering. Until now they had in offer chargers for Chevrolet Volt, Chevrolet Volt Gen 2, Nissan Leaf and Cadillac ELR. The cost of an add-on to Tesla Model S stands at the moment at $2440 including free shipping and vehicle installation. The one hour charging gives at least 20 miles of range(7.2kWh). According to Herbert Diess, the chairman of Volkswagen company is going to put on the market in 2019 electric car with incredible fast charging speed. Similarly, to technology being introduced in modern smartphones quick charging technology is going to hit electric car market. 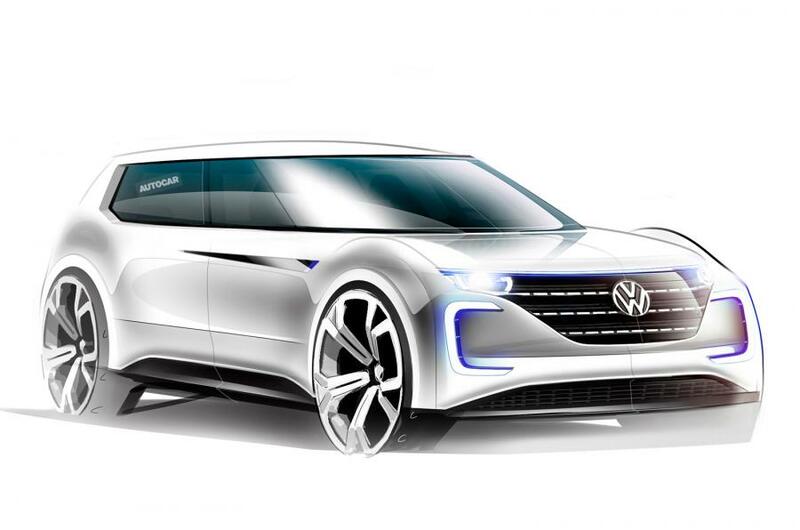 This VW is going to get 300 miles range on just 15-minute charge. To see how big a difference it makes, let’s compare it to Tesla’s best model with the fastest charging speed which in 45 minutes is able to charge 80% of its batteries giving it ~252 miles range. This charging speed requires 800-volt charging station which is yet to be widely implemented. But it is possible that adapted charging stations will be quite common in a couple of years as Volkswagen is actively looking into it (in the US and central-west Europe). The car is said not only to have good range and very fast charging speed but also to be affordable as VW wants it to cost less than traditional cars with combustion engines. The car will be presented this year on Paris motor show. Uber and Volvo join forces to put on the market in 2021 self-driving cars. 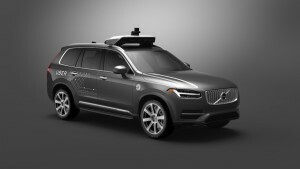 Uber and Volvo decided to join forces and invest jointly $300 million in order to create production self-driving car which is going to be based on XC90 SUV. Probably even more interesting fact is that Uber testing the cars in a real environment right now in Pittsburgh, PA where Uber clients can have a free ride in the self-driving car while an engineer will sit in the front in order to monitor performance and when needed take control of the car. Volvo and Uber are not only team trying to set up self-driving driverless taxi fleet. For the same year 2021, Ford set the date to put on the market cars without a steering wheel. Yandex the Russia’s leading search engine similarly to Google wants to be a part of autonomous electric cars market. 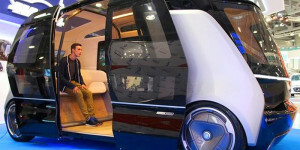 Yandex in partnership with truck producer Kamaz, Daimler, and NAMI a government-funded research organization is building a self-driving minibus. 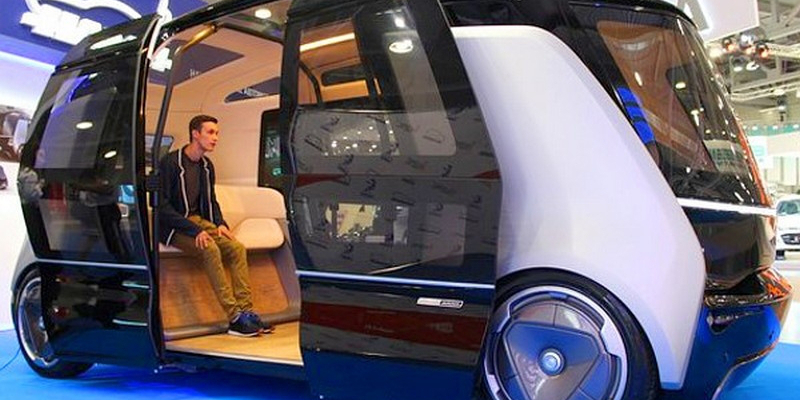 The shuttle bus will be able to fit up to 12 people and have a travel range of 200 km. The car will also allow passengers to specify their destination via an app on their smartphone. This may mean that it will work similarly to uberPOOL allowing to cut costs of the ride even further. Small additional information: Baidu Chinese biggest search engine provider is not far behind Google or Yandex as it is on a way to have its own self-driving electric car based on modified Chery eQ. Which of the presented news do You think has the biggest potential to make a big impact on the market?